Feb. 3 thru Feb. 29. an exhibit of true African Art will open at The Katonah Library. Featured will be 25 original works created by 17 native African artists, most of them from Kenya. The work is being presented by Gathinja Yamokoski, a native Kenyan now living in the Bedford area, who is also the owner and manager of TrueAfricanArt.com, an online gallery to sell and promote the work of African artists. A reception at the library is to take place on Saturday, Feb. 13 from 2 to 4 p.m. In this bitter cold, UGGS are a girl's best friend and one of the hottest footwear products out there. Squires Family Clothing & Footwear is the largest UGG dealer in the Tri-State area with over 2500 pairs in stock! 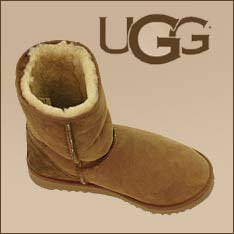 UGGs are in such demand, that according to the blog site shoeswell a lot of retailers don't have UGGS to sell. "Squires Family Clothing & Footwear in Katonah, N.Y., is logging 150 phone calls a day from all over but is turning down orders for future delivery from callers outside Westchester County."